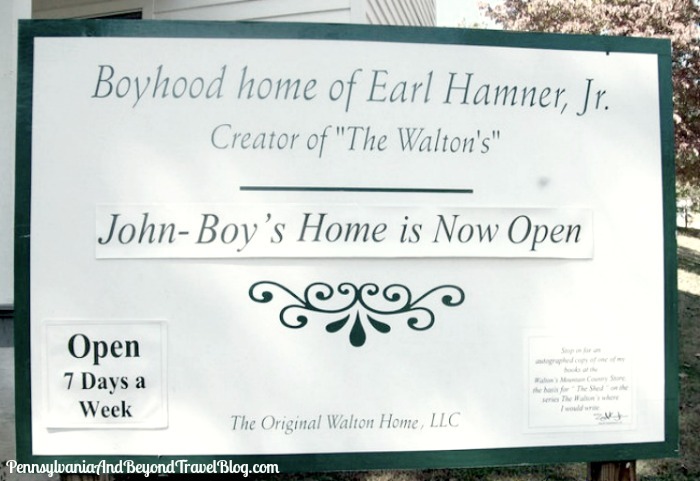 Pennsylvania & Beyond Travel Blog: The Waltons Hamner House - Boyhood Home of Earl Hamner Jr. 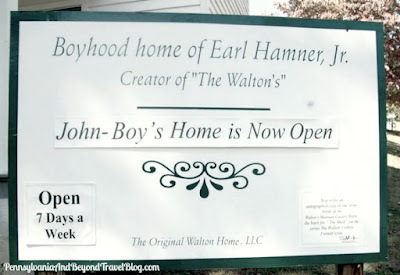 The Waltons Hamner House - Boyhood Home of Earl Hamner Jr. 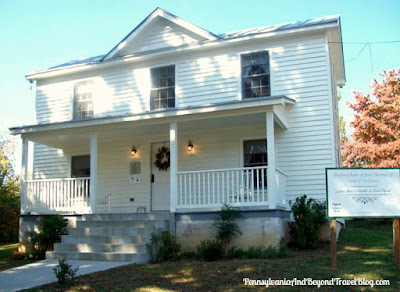 The Waltons Hamner House is a historic landmark located in Schuyler, Virginia. It's the boyhood home of Earl Hamner Jr., the creator of the hit television show "The Waltons." The house was built in 1915 by M.J. Copps, the manager of the local soapstone quarry at the time. When the company closed, Earl Hamner Sr. purchased the home for around $500.00 and it became the Hamner family home. It's a modest-sized home containing 3 bedrooms, a bathroom, an eat-in kitchen and a living area. It's a 2-story, white clapboard home with beautiful oak and pinewood floors. One of the things I really liked about the house is the large front porch...the type of porch you see on many country-styled homes, complete with white wooden rocking chairs. If you would like to take a tour of The Waltons Hamner House you can purchase tickets at The Waltons Mountain Museum which sits nearby. The Hamner House is open 7 days a week from 10 AM to 4 PM for guided tours. You can visit their official website for a schedule of featured events, driving directions and for the history on the house and it's owners.